The City uses social media channels to update the community during a crisis or emergency. During an emergency, contact or visit 211 South Central, on Twitter follow @welland, or get updates on the City of Welland Facebook Page. As an active participant in online conversations, the City may follow partners, community groups, organizations or individuals, and may share content from other users if the material is aligned with the City’s Corporate Values, programs, services or initiatives. 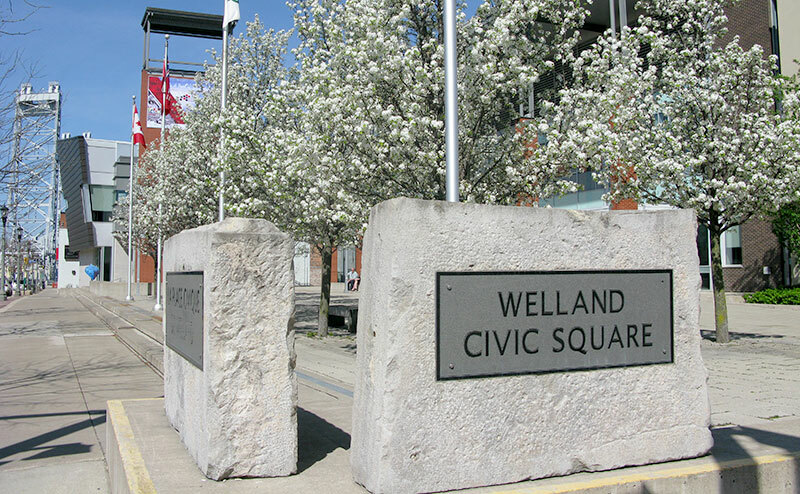 For the most part, comments and messages posted to City of Welland’s official social networking sites are considered transitory records and will not be kept as a permanent record by the Corporation. In the event that comments and messages are transferred for use on other websites or communication media, users acknowledge and consent by their use of City of Welland’s networking sites, and that their comments or messages may become part of the public record and further used in official City of Welland documentation. It is in the discretion of the Corporation which comments will be archived or used. It is not the intent of City of Welland to collect any personal information when users participate on its social media websites other than what is volunteered to the social media websites. Comments and messages collected for the public record using social media will be treated like any other form of communication received by the Corporation. City of Welland may monitor social networking content for factuality and appropriateness and will make reasonable efforts to ensure that content it posts is accurate at the time of posting. However, it is in the nature of social networking communications that accuracy and timeliness are not guaranteed and may not be reliable; as such, the user acknowledges that the Corporation makes no such guarantees. As well, the Corporation is not responsible for the authenticity or suitability of content posted to the channel by others. Posted comments and images do not necessarily represent the views of the City of Welland. City of Welland cannot and does not guarantee your privacy on 3rd party social networking websites as users are subject to the terms and conditions of the specific application. Users should review and agree to the 3rd party terms and conditions prior to participating. City of Welland will not be responsible for any losses or damages any user may suffer as a result of using 3rd party social networking websites; users participate at their own risk, for their own benefit and in so doing accept that they have no right of action against the City of Welland related to such use. City of Welland reserves the right to edit, delete and/or modify comments and posts that contain content threats, off topic remarks and comments, violations against the Universal Declaration of Human Rights, discriminatory language, expletive language, campaigning, partisan messaging or commercial advertisements or other material deemed inappropriate. This 11ft x 20ft fully programmable LED screen is located at Welland Civic Square and in view of a four way stop on East Main Street. Strategically located to have an approximate traffic count of 7,000 vehicles traveling by per day, the screen has full animation and is capable of displaying video as well as static messages. For advertising opportunities or inquiries about advertising on the city’s Big Screen LED, please contact Media City. More advertising opportunities within the City.